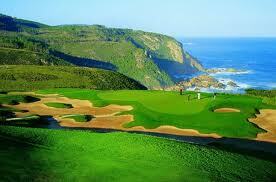 The Garden Route is a golfers paradise. The Pezula experience, A spectacular, ‘links feel’ championship course with great views over the Indian Ocean and the Knysna Lagoon, right on the cliff top of the East Head of Knysna. The course is set on an incredibly diverse coastal area and offers players the total golfing experience. Your golf intellect is required, though… The course, together with the luxury hotel, makes this place one of the rarest on earth. One of the best Jack Nicklaus’ signature courses in South Africa. A spectacular view right through the Knysna Heads and overlooking the Knysna River make this course a definite ‘must play’ in the area. Water seriously comes into play on only two holes, but Jack Nicklaus’ love for bunkers make precision more important than distance. The 19th hole completes the experience. 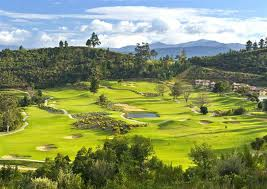 A well maintained, matured and flat parkland course situated on the shores of the tidal Knysna lagoon, where water comes into play on most of the 18 holes. This course is easy to walk and has some tricky holes. Trees, water and wind can easily be a factor.